Happy Bump Day everyone! So today I have yet another exciting subscription box called Bump Boxes, it's especially for the mom to be!! I know I no longer have a bump but I wish I would have known about it when I was in my first trimester, it feels great to spoil a mamma! This subscription box includes healthy products handpicked by moms, tailored to your due date, and designed to pamper you throughout your pregnancy! It makes the perfect pregnancy gift! They offer different plans, starting at $39.99 but you can save on your first month using code Bump40 saving 40% off your first box! If you do the other plans you can save as well. 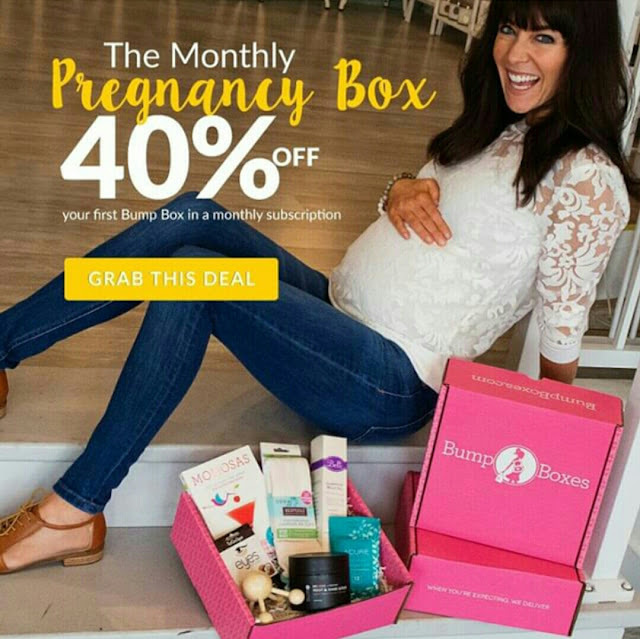 The box comes with 4-8 healthy FULL-sized products, tailored to your due date. 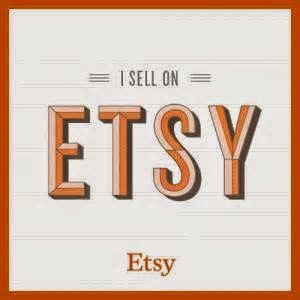 It is free shipping, free returns, and hassel free cancelations. Best of all once baby is born you can keep your subscription throughout your baby's first birthday! The Revitalising Face Moisturizer by Yorba Organics: it is a light-textured Face Moisturizer that absorbs into the skin, providing long lasting protection. Kigelia is packed with nutrients that aid in the repair of damaged or aging skin, while the other actives leave the skin hydrated and balanced without being greasy. It is an excellent face moisturizer for sensitive skin needing hydration. Their main ingredient Kigelia is a clinically proven antibacterial and is known to aid in the natural treatment of very dry skin conditions and Eczema. It is also a highly effective anti-inflammatory and antioxidant ingredient. It is a 3.5 FLoz and retails at $16.95. The texture is was a bit thick than what described on the packaging with a yellow color. When applying a dime size is more than enough. You will immediately feel it hydrating and penetrating in your skin. It feels luxurious and leaves skin soft and revitalized! Bobby Boons Lactation Cookies: The cookies are made from the purist of ingredients including Stork and Dove’s proprietary blend of natural, non-herbal galactagogues proven to increase breast milk supply naturally and safely. The Lactation Cookies are made specifically for breast feeding moms! Booby Boons are wheat free, soy free, non GMO and made with the purest of ingredients. They are mommas little helper, when it comes to increasing breast milk supply. They come in various flavors such as; Cocoa Quinoa, Oatmeal Raisin or Chocolate Chip. I was extremely excited about the cookies because I really wanted to breast feed this time around and was willing to try anything to increase my lactation. I got the cocoa quinoa flavor and they were delicious! An hour before breast feeding I ate one or two to increase my milk supply. The texture is not too dry or soft it's just right, they do however crumble easily. They definitely work wonders if you have problems lactating like I do! The bag is 6 oz, if you eat between 1-2 cookies four times a day they package will last you about 3-4 days. You can find these at Target if you decide to continue buying them at $9.99. Post Pregnancy Recovery Cream by Bella B Body Buzz: It is specially formulated to firm skin all over the body and minimize cellulite, all in one luscious body cream. They use the very best ingredients found in much more expensive creams in much smaller containers, and bring them to you naturally. Clinical testing of their key ingredients has shown dramatic improvement for both firming key areas of your body while at the same time minimizing cellulite. It has a creamy consistency and mild fresh scent. Consistency is key, using it liberally twice daily for best results. The bottle is 8 oz and retails at $12.99. I was beyond excited for this cream, I've been using it for the past two weeks and have noticed the difference already. I absolutely love it! Heartburn Tea by Earth Mamma Angel Baby Organics: It is a soothing and delicious mellow mint blend. Formulated especially for pregnancy with herbs traditionally used for the relief of occasional heartburn, acid reflux, and indigestion. With organic marshmallow root and tummy comforting lemon balm, chamomile, spearmint, and astringent red raspberry leaf. Not just for pregnancy, settling after meals too! The teas are naturally caffeine free in easy to brew tea bag. The tea can be used for after meal, overindulgence, sore throat, sfratchy cough, and diarrhea. It contains 16 bags and retails at $5.99. I am a huge coffee fan, but since I'm breast feeding this tea is a great alternative. I would have really used this tea while I was pregnant since I suffered from heartnurns during my pregnancy. No Slip Socks by Inhale Exhale: The socks have a rubber gripping on the bottom, perfect to use at the hospital on delivery day! The bottom grip says Bumplife, how cute is that! They are pretty comfy to wear around the house if you don't want to wear shoes. They retail at $13.99 and the size is for women who wear shoe size 6-10. I really liked the grey, aqua, and teal blue combo. My final thoughts, Bump Boxes was everything I had hopped it would be! It was nice to come home to it after my delivery. I would definitely recommend this box for expecting moms or if you know someone one who's expecting like your wife, sister, or a beast friend this is the perfect gift!! This box retail value is at $59.91 and you only pay $39.99 and you can get 40% off your first Bump Boxes using BUMP40 at check out! Hope you loved today's subscription box, let me know what you thought about this subscription box?